Valencia CF: Aderlan Santos to join Valencia CF? Aderlan Santos to join Valencia CF? Aderlan Santos a Brazilian footballer who plays for Braga is very close to joining Valencia CF as he's been spotted already in Valencia CF supposedly completing the medical tests. Reports suggest that Valencia CF have offered around 7 million euros for the player and Braga have agreed upon the fee. 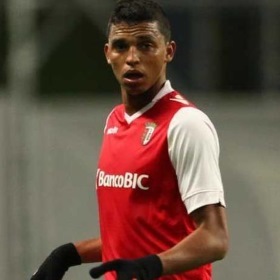 Aderlan Santos moved to Braga B team in 2010 and features several matches for their B team, before being called to play for the first team as well due to his impressive performances. This is a really 180% degree move by Valencia CF, since no one expected this to be Nicolas Otamendi replacement, I don't really think Aderlan can fill his shoes, in fact I'd much rather count on Vezo to continue playing. I would have hoped for at least a more experienced defender, at least a bit more proven one, but it is what it is. Tell me what you think about this player and most likely transfer?